Home to the masters and sprawling with their work Florence cannot help but inspire. You might not have a passion for art or a love of history but in Florence one cannot escape either, and nor would one want to. Florence was and still to this day is dominated by powerful Italian families like the Medici family who are practically royalty in their own respect. They own and run the city and everything that you see before you has been commissioned and permitted by them. 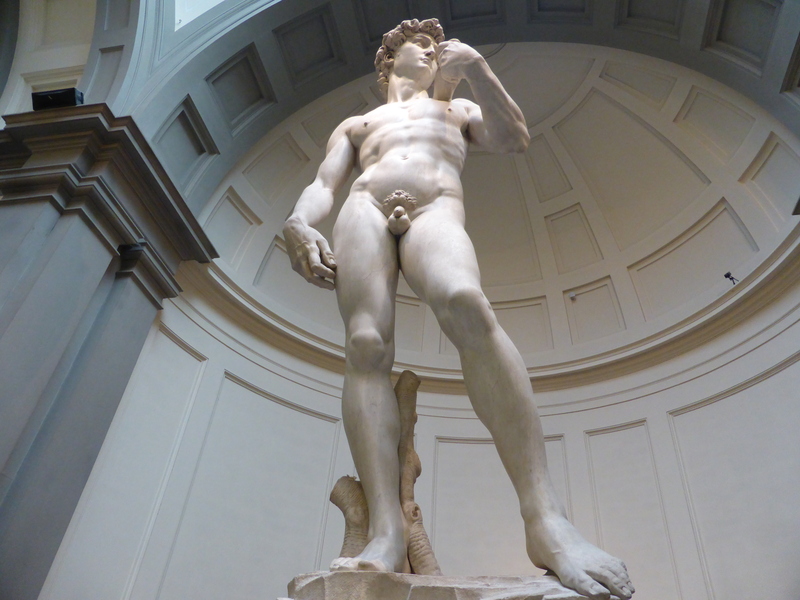 Florence is of course famous as the location of Michelangelo’s David, which draws millions of people every year across the Galleria’s doorstep. However while The David attracts, Florence offers an abundance of treasures both inside and outside of its numerous museums and churches. It is worth setting foot in as many buildings and courtyards as you can to glimpse the unbelievable alfrescos, paintings and sculptures. The city itself is breathtaking and there are several things not to be missed! That being said it is possible to be happy ticking certain boxes and getting a feel for the city in a day or two. However I would say that is skimming the surface and you’re not just being unfair to Florence but doing yourself an enormous injustice! This is a city that is to be adored and treasured, experienced and appreciated. A city where you can wander down cobble stone streets taking your time embracing the unique atmosphere of the place where Michelangelo, Leonardo Da Vinci, Dante Alighieri, Machiavelli, Raphael and countless other masters of their time and craft found inspiration, direction and devotion in beauty. Florence left a mark on me that I did not expect. It inspired me to appreciate the product of a lifetime of devotion. The choices made by specialists who loved what they did and did what they loved. I could easily allow myself to get lost in Florence. Not lost in a geographic sense, but lost in a place that is entirely my own, inspired to a point where I can imagine sipping away –to some extent- from society and the world into a place whereby appreciation and understanding results in revelations, happiness and perfect bliss. We’ve heard that masters sometimes lose their minds in the depth of their craft, well that’s what I mean by lost. But then again that might not be lost, that might in fact be where one finds themselves. In three days I had entirely fallen in love with Florence. I’ve often thought about spending an extended period of time in Italy again, to really perfect my language skills and continue to discover Italy for myself, but I haven’t ever been convinced on a precise location. As my family is from the north near Milan I’ve previously always circulated around there. But I think I’ve found it, and I would love nothing more than to be able to spend at least a month or so living in Florence. In regards to how Florence compares to other Italian cities; Rome is enormous and while exquisite and with so much to offer it is on a much larger and far less cosy scale than Florence, exaggerated by the traffic and layout of a capital city with much wider streets. Venice is magnificent and breathtaking with its canals, tiny narrow streets, sharp corners and backstreet canals adorned by windows and boat traffic. Milan is ornate and impressive with a heavy emphasis on industry and fashion, ranking in the top ten fashion capitals of the world. The South unfortunately I cannot speak for as I am yet to go. 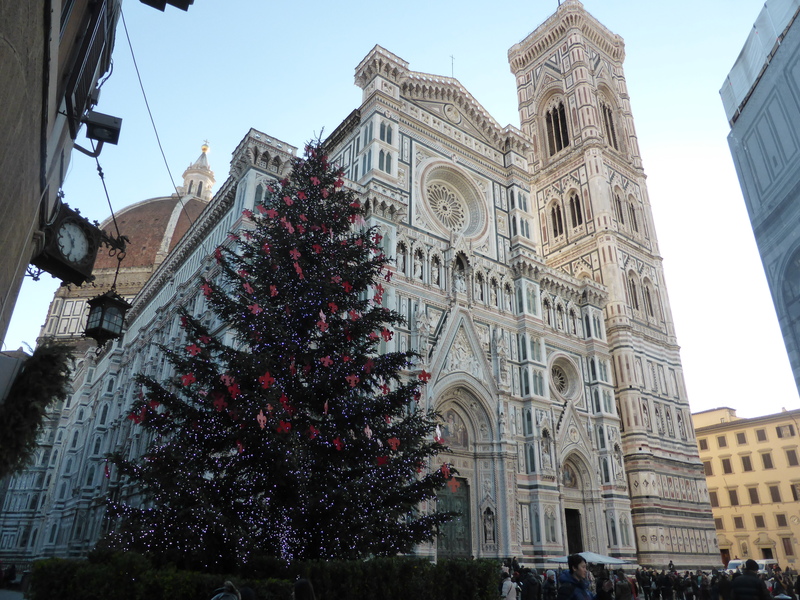 Then there’s Florence… beautiful and inspiring, filed with artwork and masterpieces. It has average sized winding cobblestone streets that create a cosy and comfortable atmosphere. There are a few wide open spaces however far fewer than Rome and these are nearly all piazzas with a community feel to them. Florence feels more local, and less sparse. Wandering Rome I felt like I was exposed, wandering Venice was more awkward and cramped, wandering Florence I felt the happiest I had ever felt.